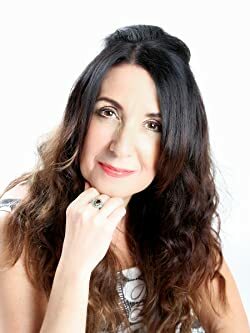 I was delighted to be contacted by the author to ask if I would like to read and review her latest novel as I really enjoyed her first book, 183 Times a Year. I really recommend reading that especially if you have teenage daughters! You can read my review of it here: 183 Times a Year. Don’t miss the giveaway at the end of this blogpost where you have the chance to win one of two signed copies of All the Colours In between or one of two ebooks. I was very impressed with this follow-up to 183 Time a Year. It is set a few years after the first novel and can easily be read as a standalone book. Lizzie’s daughter Cassie and step-daughter Maisie are now in their twenties. However, they still cause their mother much concern and this is very true to life. I don’t think anyone ever stops being worried about their children no matter what their age and of course, wants the best for them. In common with many women her age, Lizzie is fast approaching the menopause with all its symptoms she may have to contend with. And of course, her parents are getting that bit older and also have health issues which come with age – something else for Lizzie to worry about. In fact, Lizzie had so much to content with I wondered how on earth she was going to cope! I felt this was a true to life portrayal of what modern women of her age have to deal with. It didn’t feel that it was unrealistic for any and all of the scenarios to be happening to one family – it’s just life. I liked the way that the story was told from different viewpoints. As well as Lizzie, we also hear from Cassie who is struggling with something which has happened in her recent past for many reasons. If you read the book, you will see that this is a VERY topical issue indeed. Through Connor, we also get a glimpse into the thoughts of a teenage boy and thank goodness, he’s basically just a good lad, a bit obsessed with girls but who still very much loves his family. It made me smile that he was described as ‘a grunt with a hood’! There were also a couple of sections from some of the other characters’ points of view. One of the storylines in particular is very close to home for me right now and I found it very emotional to read. I felt as though Eva Jordan had tapped into my own thoughts and feelings and expressed them so well on the page. Even if you haven’t had these particular experiences, I think you would be very hard-hearted not to be very moved by a lot of the stories contained in this book. It should definitely come with a hanky warning! Eva Jordan has written a brilliant exploration of what it can be like to be a modern, blended, extended family. She writes with great insight, compassion and humour. The end of book was very cleverly written so as to tie up most of the storylines but leaving one big question unanswered. This was not frustrating but very intriguing and I was genuinely pleased to see not the words ‘The End’ when the book finished but ‘To Be Continued‘. I will look forward to finding out what happens to Lizzie and her family next! My thanks to Michele Ryles and publishers Urbane for my review copy of the book. All The Colours In Between is available now in paperback or as an ebook. Buying links are below. Eva Jordan, born in Kent but living most of her life in a small Cambridgeshire town, describes herself as a lover of words, books, travel and chocolate. She is also partial to the odd glass or two of wine. Providing her with some of the inspiration for her novels, Eva is both a mum and step mum to four grown-up children. Her career has been varied including working within the library service and at a women’s refuge. She writes a monthly column for a local magazine and currently works as a volunteer for a charity based organisation that teaches adults to read. However, storytelling through the art of writing is her passion. 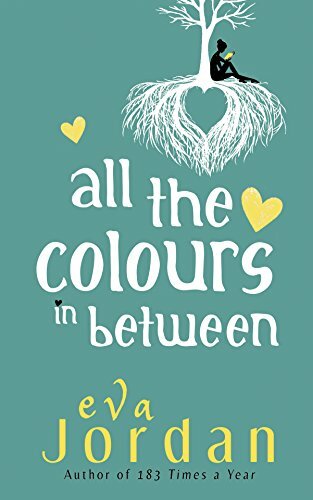 All The Colours In Between is Eva’s second novel. It was so lovely to be with Eva at her launch last night. She’s such a smashing person and I wish her every success. I saw some photos, looked like a lovely evening. Sounds like a very emotional book. It’s definitely on my list! You are very welcome Eva. As you can no doubt tell, I loved it even though it was very emotional for me.